Hitman, 30 Mar 2012Great phone had it for almost a week. - The looks of the phone is incredible and eye-catching... moreWhen you say "- Battery for first 3 days is a bit of a concern but now after a week has past it improved like 2 times the first 3 days." could you elaborate on the number of times you need to charge in a day? Hitman, 30 Mar 2012Great phone had it for almost a week. - The looks of the phone is incredible and eye-catching... moreWhen you say it was a cOncern in 1st 3 days, n it's not now, could you elaborate on how many times do you need to charge the phone in a day? I am not sue why everyone raves on about quad core as if it is a life saver. Android needs dual core just to run the os because it is not an optimised system. Just look at all the issues with people that have different mobiles trying to upgrade to ICS and finding they are worse off. In that regard Sony is correct in focusing on getting it right from the beginning with current hardware. This is why it is the Android to buy now. AnonD-6211, 31 Mar 2012Here we go again, the N8. Seriously. The Xperia S, combine with the great image quality, fast... moreThe most users here at GSM arena are Nokia/Samsung or Apple fanboys. And the cam from the Xperia S is just the best of the rest, thats msny proved. Akhc_4s, 30 Mar 2012N8 is still the best camera phone (until pureview 808 starts rolling out)...the xperia s has s... moreHere we go again, the N8. Seriously. 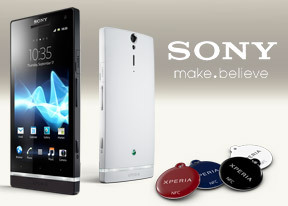 The Xperia S, combine with the great image quality, fast capture, shot to shot time, full hd capture etc, your N8 won't stand a chance to users who want speedy shutter to capture those special fluttering moments. You cannot capture it with the N8, it will be lost forever in oblivion. Thanks gsmarena for this great in depth, not biased review.This is an amazing phone decently priced,and the price will drop after quad cores release. Good points: Music player (AMAZING - THE BEST THING IN THIS PHONE); realy good camera quality; screen (is bright, colourful, sharp, good in direct sun light, realy sensitive, and the viewing angles are not a problem, at least for me); good performance (fast, responsive, no lags, frezze or problems, everything looks realy optimised) but the most catching thing is the design of course! Bad points: sensitive keys and the usb and hdmi ports are realy annoying. This is an all round good phone, quad core doesn't really matter it does the job perfectly and when it's upgraded to ICS it will do an even better job. Not bad at all with the competition it has to go up against. Can you tell me where are iphones,samasung phones, nokia phones, htc phones ...., made!! Great phone had it for almost a week. - The looks of the phone is incredible and eye-catching. One of the best phones in terms of looks in the market. - Camera is superior better than the N8 i can say. - Battery for first 3 days is a bit of a concern but now after a week has past it improved like 2 times the first 3 days. For those are concerned about the battery don't be ! Akhc_4s, 30 Mar 2012N8 is still the best camera phone (until pureview 808 starts rolling out)...the xperia s has s... moreWell said.. had to see the comparison myself and i do agree..
AnonD-4977, 30 Mar 2012For now, it's maybe the best phone in the market(though Galaxy S2 is much better in performanc... moreGalaxy S2 doesn't have much better perfomance..